As temperatures begin to rise and you and your family begin to enjoy the warmer weather, it's important to get a jump start on protecting your dog from fleas and ticks. Getting rid of pesky fleas and ticks can be a hassle, but with the right products and if you follow these steps, fleas and ticks will not stand a chance. There are two major steps to take to protect your dog against fleas and ticks. The first step to protect your dog against fleas and ticks is to keep the parasites out of your yard. Ticks can survive the winter in microclimates, and after the thaw a feeding and breeding female tick can lay hundreds to thousands of eggs at one time in your yard or nearby. Fleas can also survive freezing temperatures as immature pupae on wild animals or in your garage. Therefore it is important to protect your property from these parasites so that they do not harm your dog. Be aware that wild animals can also deposit flea eggs into your yard. Limiting the access these animals have to your yard or home can help protect your dog from fleas and ticks. One way to prevent this kind of infestation is to alter the landscape of your home by mowing the lawn frequently, trimming shrubs and trees, and removing any accumulations of leaves or dead plants. Also vacuum your home at least once a weak and always throw away the bag. This will maintain a healthy environment for your pet and help keep fleas away from your pet and from inside your home. The second step is to use a flea and tick control product. Even though we take precautions to reduce fleas and ticks in our yards and homes, we still must take extra measures to protect our dogs. 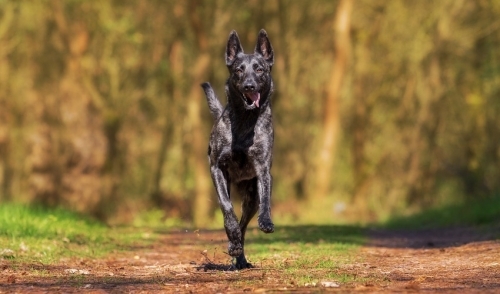 Finding the right flea and tick control product can be tricky. Some products may only specifically protect fleas or ticks and not both. Other products may protect against both and against additional parasites. There also some products that will aim to kill these parasites, but offer no prevention against them. Before buying a flea and tick control product, be sure to consult with your veterinarian about which product best fits your dog's lifestyle and environment. Also if you have more than one dog, remember to treat both. One untreated dog can lead to an infestation in your home. If you decide to use a flea and tick control product, be cautious of risky chemicals that could harm your pet or family. Some ingredients can be toxic and cause cancer. Be sure to follow all instructions when using these products and to use them with consistency. One missed dose of your monthly flea and tick control product can cause an infestation that can take months to resolve or further expose your dog to harmful diseases caused by these parasites. So to protect your dogs against fleas and ticks, take care of your home and yard, and maintain monthly applications of flea and tick control products throughout the year. Here at Maher Feed & Pet Supply, we will do anything we can to help every customer who walks in our store. We are a friendly bunch of local people, so please stop by for your needs, to check out our store, or to sample Debbie's homemade cookies every Saturday, tradition for many years. © 2019 Maher Feed & Pet Supply. All rights reserved.